Seldom does a performer match up well to his or her defining role perfectly, which is probably good if you’re known for playing a snake like JR Ewing. 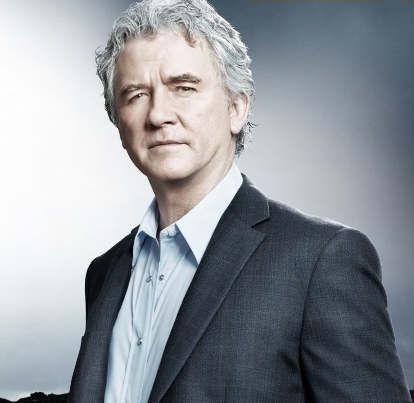 However, in the case of Patrick Duffy, who is forever linked to his iconic role as the virtuous Bobby in the public consciousness, I’m happy to report there’s a pretty good fit between actor and role. On last night’s exciting two-hour premiere, which drew nearly 7 million viewers, Bobby had a touching scene in which he visited JR in a nursing home and told him he loved him despite their years of battling, kissing him gently on the head as he departed. This scene was so subtle and so true to the chemistry between those two actors, who’ve been friends for decades, that it stuck out as a highlight among all the brawling and double-dealing going on throughout the premiere. I’m sure any viewer who has lived through the experience of having a loved one in a nursing home was moved by the bittersweet beauty of it and how deftly performed it was by such iconic and beloved actors. My Twitter exchange with Patrick Duffy. Those of us who followed Bobby Ewing’s story on the original Dallas recognize his signature facial expression when he’s in pain or sorrow and Patrick slipped right back into character as if it was only yesterday that he had last played him. Patrick hasn’t lost the feel of Bobby, a character so many people love and wish were a real person. Strong yet gentle, Bobby remains a heroic figure to his millions of fans and it’s so great to have him back as the patriarch of Southfork. As a longtime Dallas fan who started this blog to share my passion for its legacy, I’m very proud that Patrick responded to my tweet complimenting him on his performance in this scene. Rarely can celebrities respond personally to “fan” messages, so I know that I’m right about the importance of this scene to him. What a class act.